The headline kills all the fun! 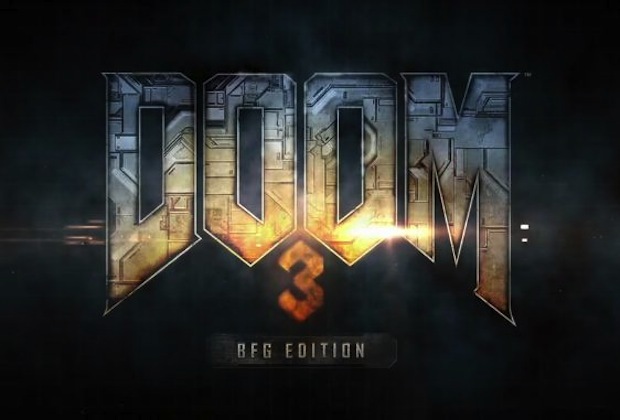 Bethesda announced today that Doom 3 BFG Edition is now set for release in North America on October 16, 2012, and will follow in Europe on October 19. This release contains remastered versions of both Doom 3 and the Resurrection of Evil expansion, as well as 7 new levels they're calling "The Lost Mission." Oh, and they threw in Doom and Doom II for the hell of it. Beyond this, the whole shebang has been optimized for 3D and 5.1 surround sound, and you can expect new rendering and lighting, fine-tuned controls and a brand new save system. The console versions have new achievements, too. Doom 3 BFG Edition will be priced at $29.99 for PC and $39.99 for Xbox 360 and PS3.